You know you want one. Cower in fear before the might of the… wait, is that a cockroach shooting at us? 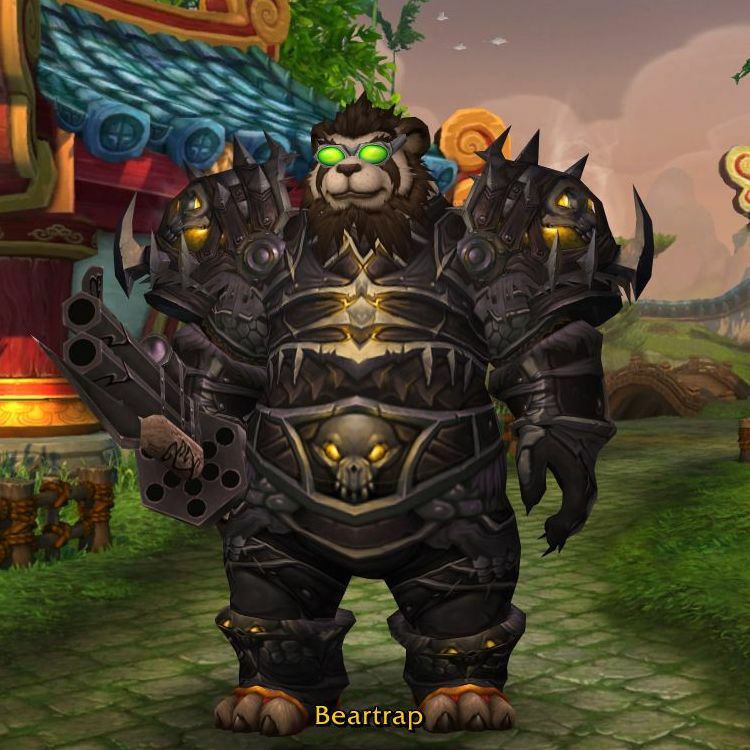 And I had a monk sporting this but I think a druid can equip it all. I love them all. 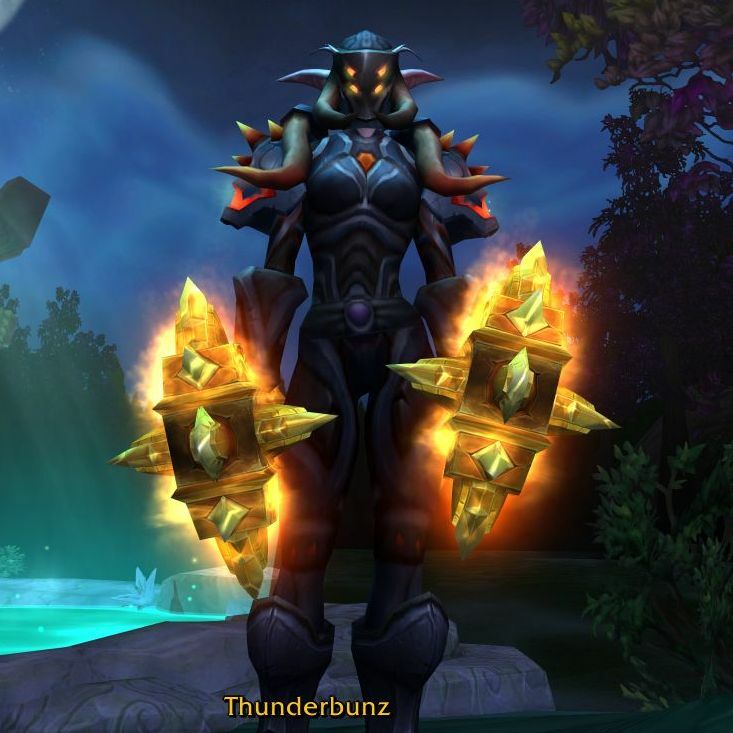 I miss WoW, sometimes, but I just don’t feel the draw, anymore. I’m more hooked on the nostalgia, I think. 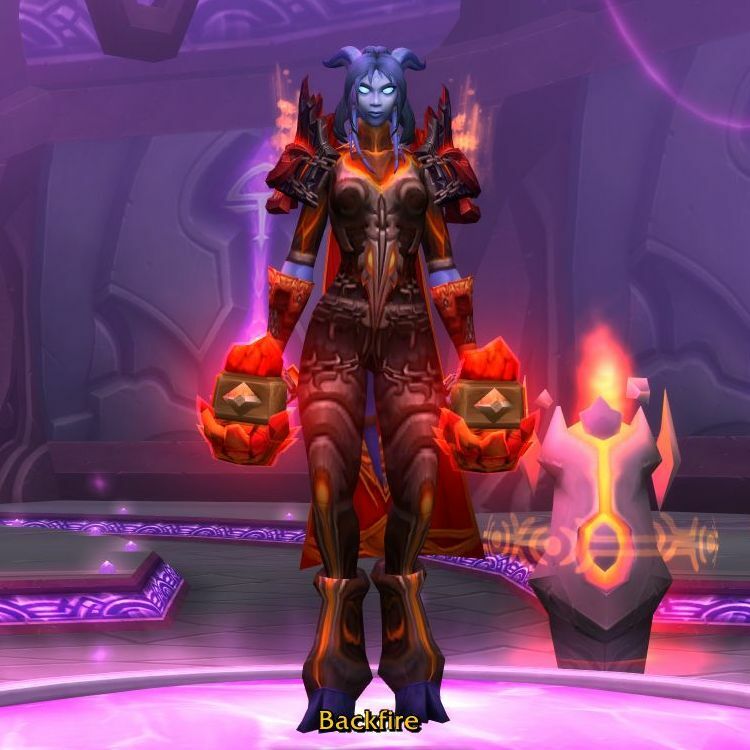 I do hate that I left so soon after Transmog came out, though! I agree about the faces, and love some of the names you came up with. 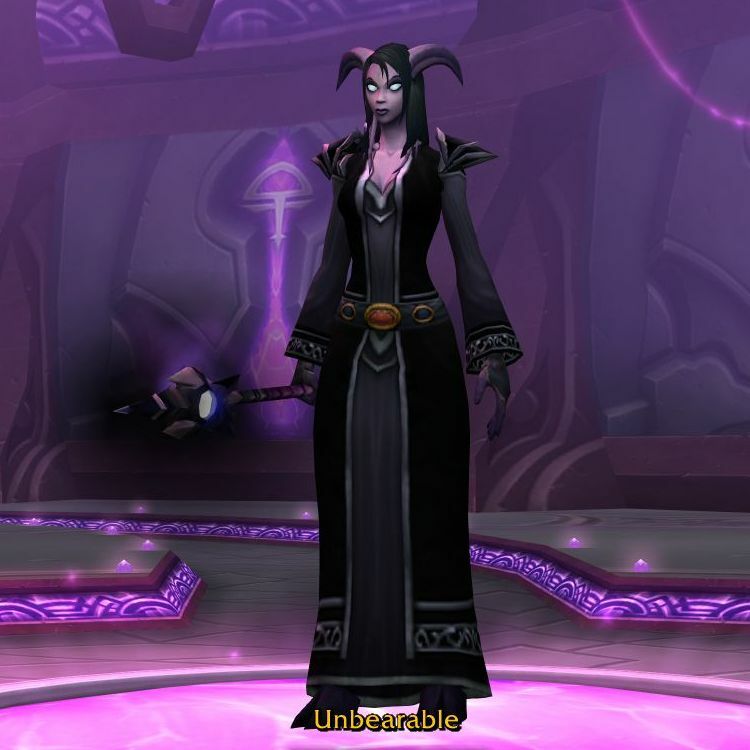 The warlock’s is probably my fav, though your mage is a bit punny as well. 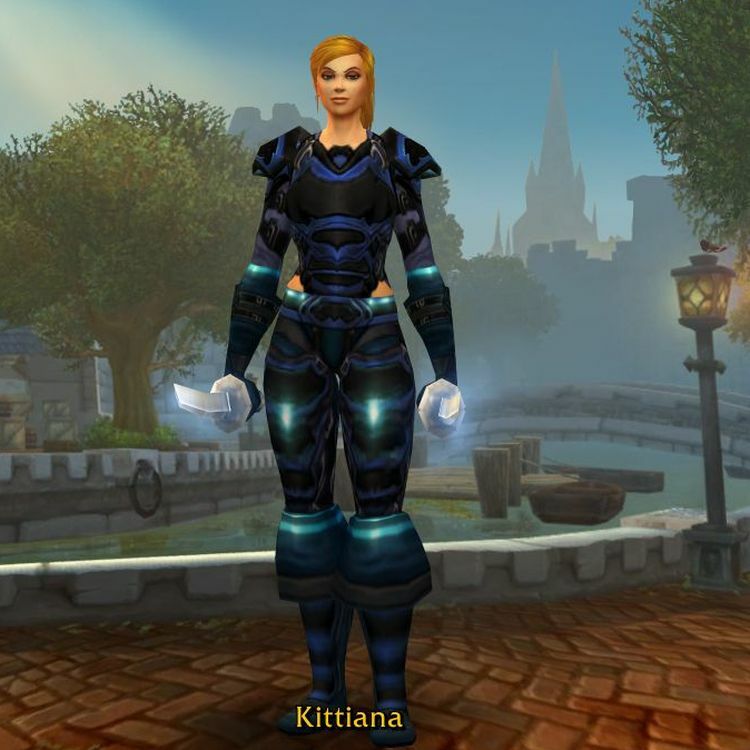 And regarding transmog for leveling… YAAAAAAAASSSSSSS! 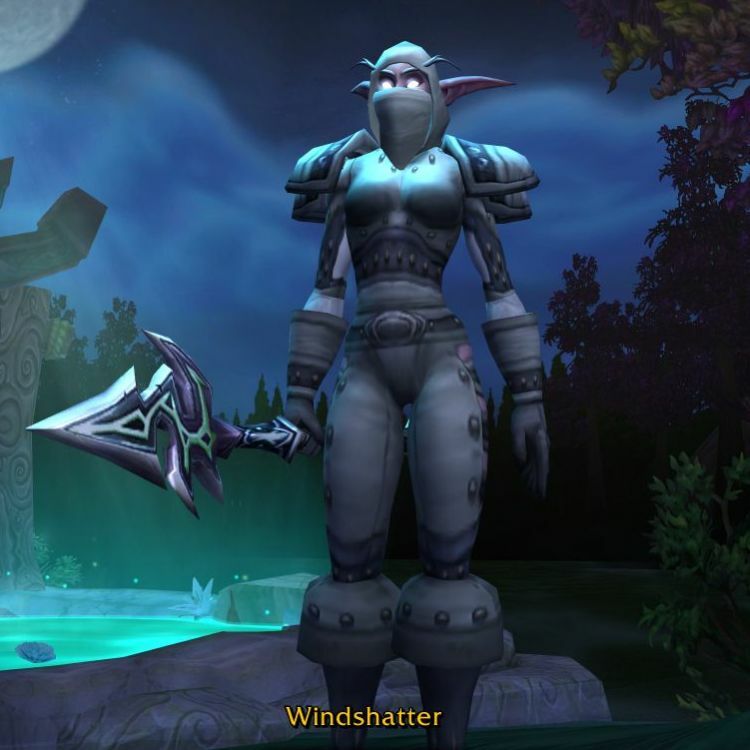 one of the first things I do when going back to an old toon to level now is play transmog. 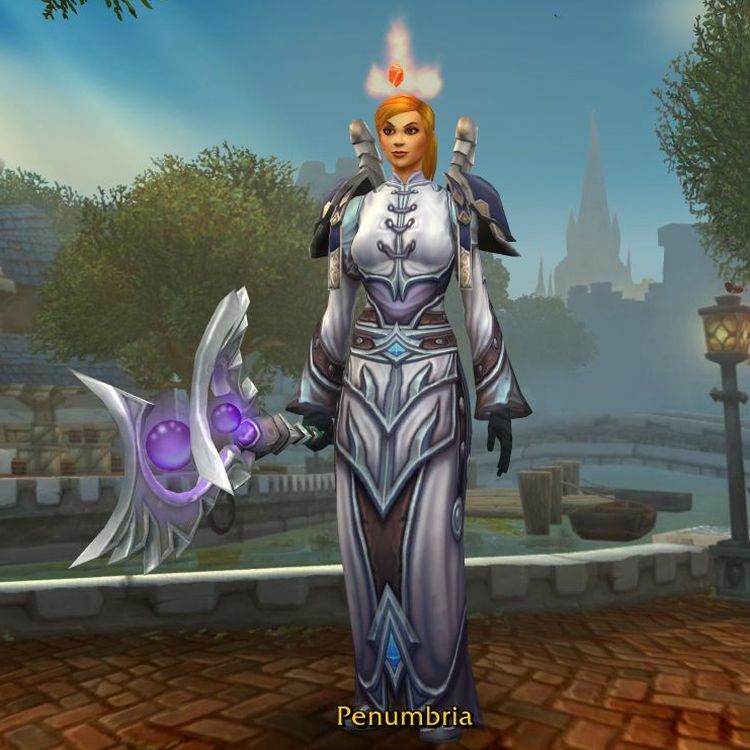 If I am not happy with how my character looks, I’m not going to level her. A++ to all of them! I’m with you though on the new faces. 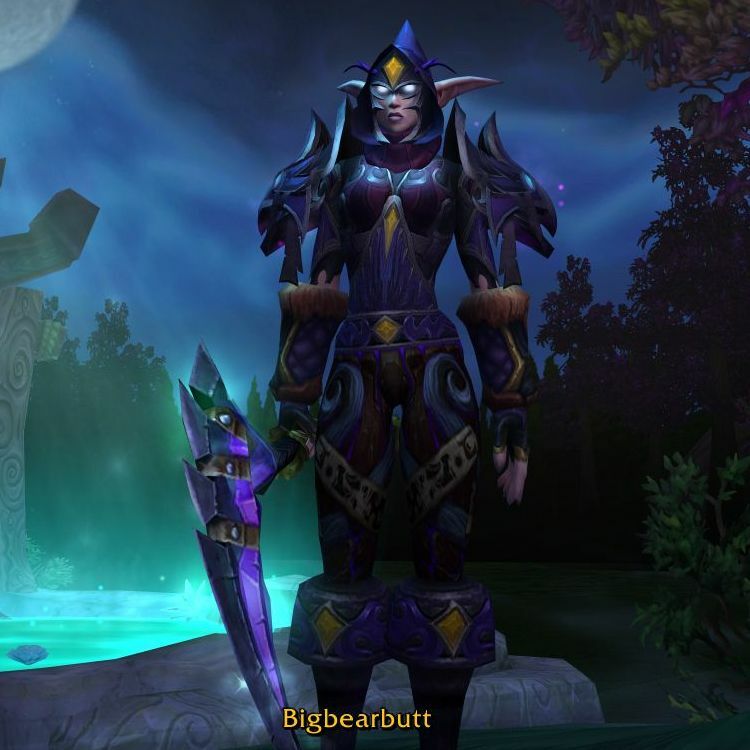 In general, I’m really glad they updated everything, but I have way less preferred “looks.” Night Elf females — the bodies all look crooked to me. It bugs me! My humans looks ok, but they’re not themselves anymore — and if they’re wearing something sleeveless they have spaghetti arms. 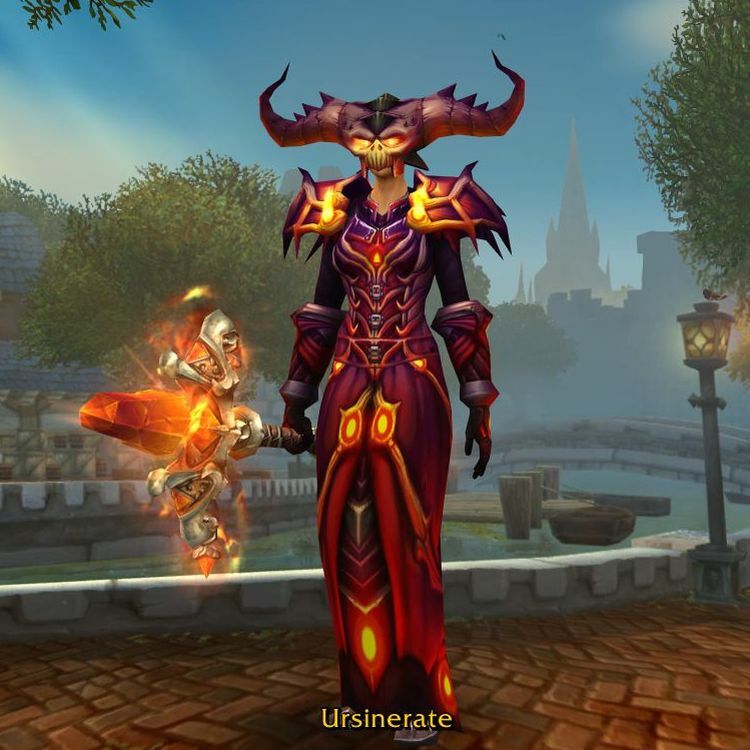 Draenei are ok-ish, but the dark skin tone isn’t the same and the lighting on the character screen changed — it makes them look weird (tho they do look better when you log in). 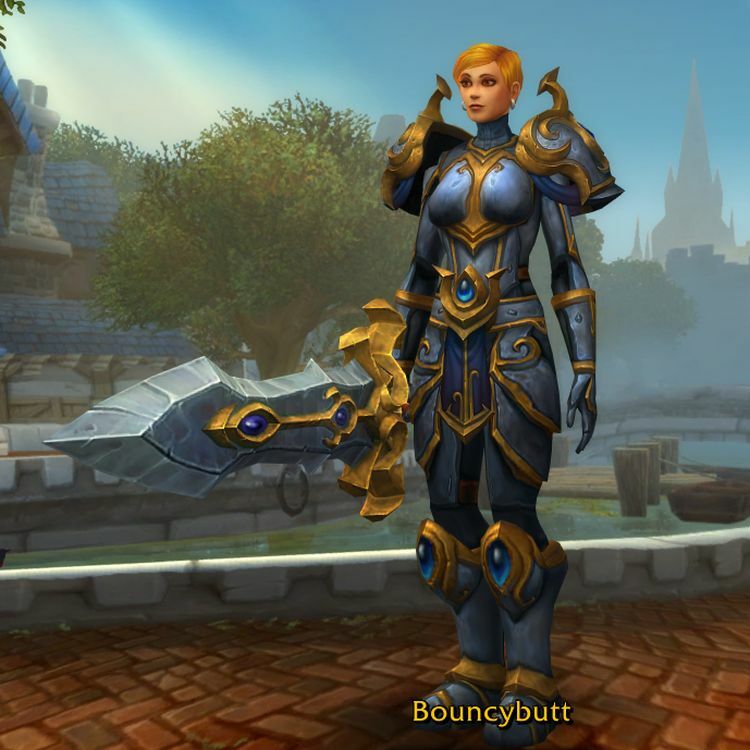 Thankfully, my main (dwarf female) actually looks better. 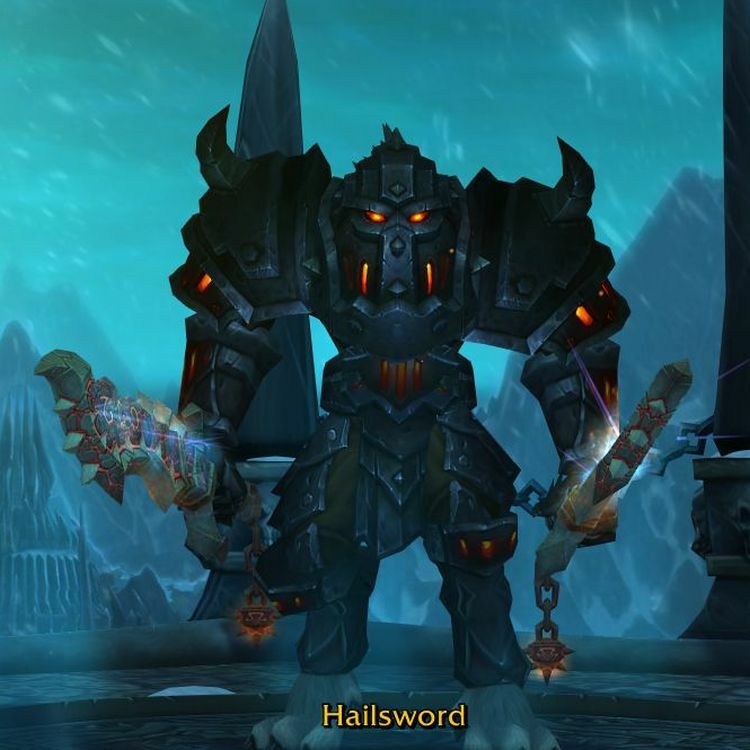 And the revamp got me to roll a few races that I never liked before (orc, undead).